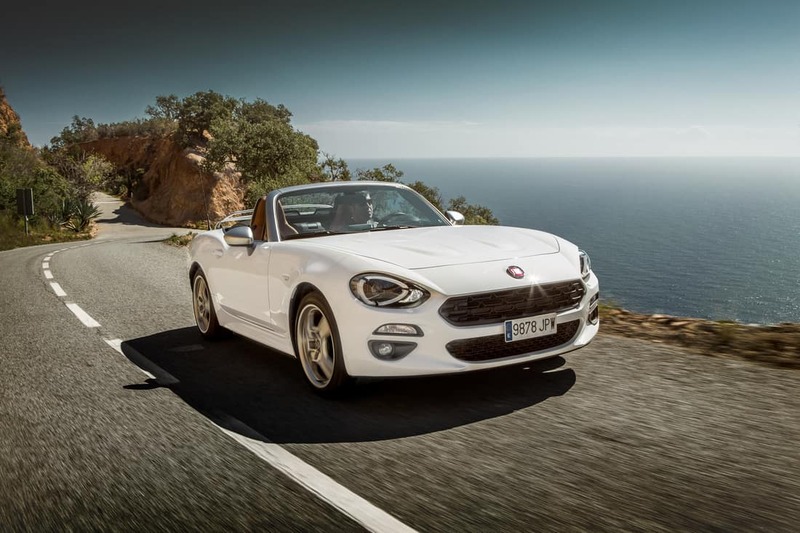 FIAT’s Iconic 124 Spider is reborn. 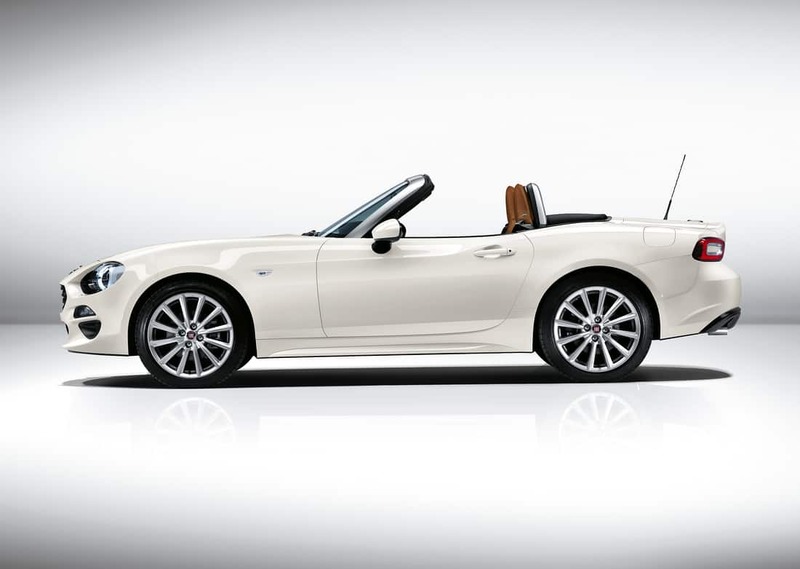 Taking inspiration from the Pininfarina-designed original (launched in 1966), the new Fiat 124 Spider is a stylish two-seat drop-top. 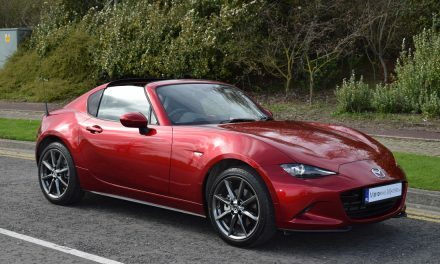 Its rival—Mazda’s MX-5 – is also its main benefactor, donating its chassis, assembly line and numerous parts. But the Fiat 124 Spider does have a unique suspension and powertrain – a 140bhp 1.4-litre turbo petrol engine with a six-speed manual gearbox. Mazda ships a virtually-complete MX-5 to Fiat’s factory in Italy, where the engineers work their magic on it. This is also where the noticeably different body panels are added. The result is a car that is fundamentally similar but very, very different in attitude. Everything in the new Fiat 124 Spider is easy to understand and use, such as the three rotary heater controls and the steering wheel-mounted controls for the stereo. Interestingly, the materials used all feel very high quality leading to a rattle-free driving experience under all road conditions. 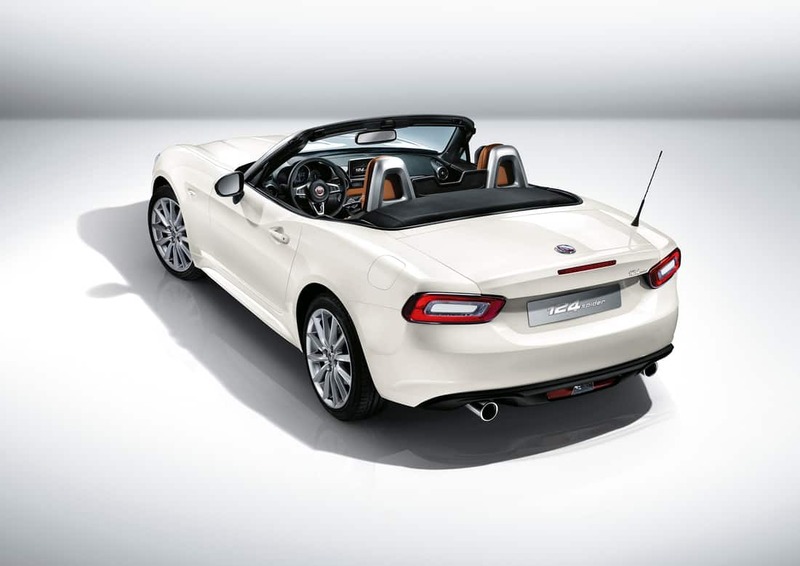 The Fiat 124 Spider range starts with the ‘Classica’, which includes (amongst other things) air-conditioning, cruise control, 16” alloy wheels and Bluetooth phone connectivity via a 7” touchscreen radio system with DAB, USB x 2, WiFi and an Aux port. Upgrade to ‘Lusso’ spec and you will also get sat-nav with 3D maps, heated leather seats, climate control, rear parking sensors, front fog lights, keyless entry, silver windscreen frame and roll-over bars, 17” alloy wheels and a reversing camera amongst other creature comforts. However, my test car was the top-spec ‘Lusso Plus’, which adds a nine-speaker BOSE stereo with 4 speakers integrated into the headrests of the two seats, automatic full-LED-technology headlights, automatic lights, automatic wipers and headlamp washers. No matter which specification you choose, you are guaranteed classic roadster styling in a modern package and I could not help thinking that the new Fiat 124 Spider is a car that was created for pure driving pleasure – much like its iconic predecessor was over 50 years ago. 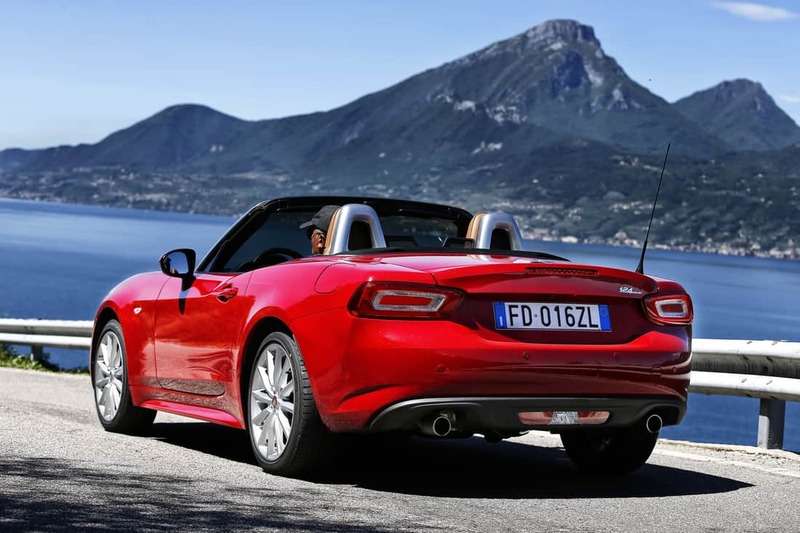 I was smitten by the new Fiat 124 Spider from the moment I first saw it, and this emotion was further enhanced once I sat into the drivers seat. 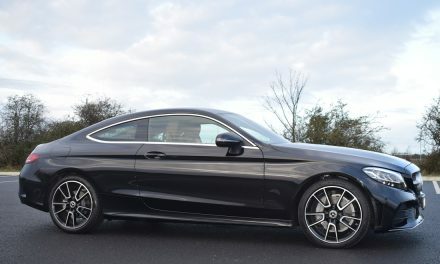 The leather seats look and feel fantastic and overall visibility is very good for this type of car – with the (easy to operate) manually retractable fabric roof up or down. The leather steering wheel and leather-wrapped instrument cluster with contrasting stitching not only look and feel great, but also adds a sense of occasion to every journey. I absolutely loved driving the new Fiat 124 Spider with its combination of rear-wheel-drive performance, punchy turbo-charged engine and relatively low running costs. 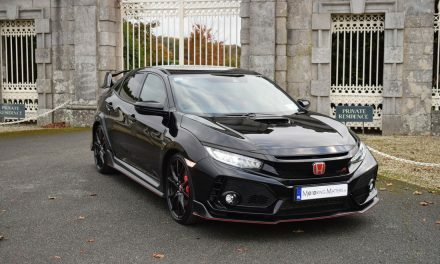 The wonderful 1.4-litre engine produces 140bhp and 240Nm of torque and is capable of 215km/h while taking just 7.5-seconds to complete the 0-100km/h sprint. 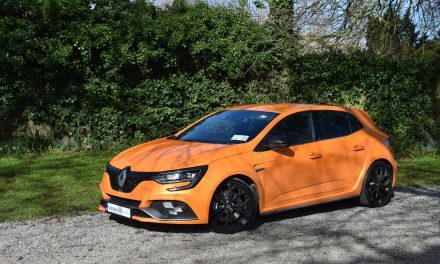 Annual road tax is €390 and combined fuel consumption of 6.4l/100km is impressive. 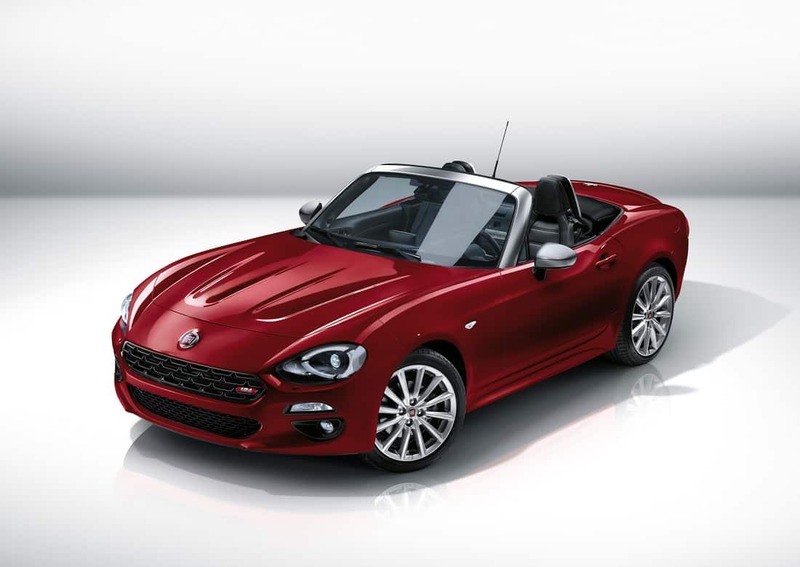 Priced from just €32,395, the new Fiat 124 Spider is on sale now. A classic has just been reborn.